I gotta admit that I'm a total organized freak! I just love everything to be in its places: items to be in jars/baskets/bins and plans to be written down on paper. 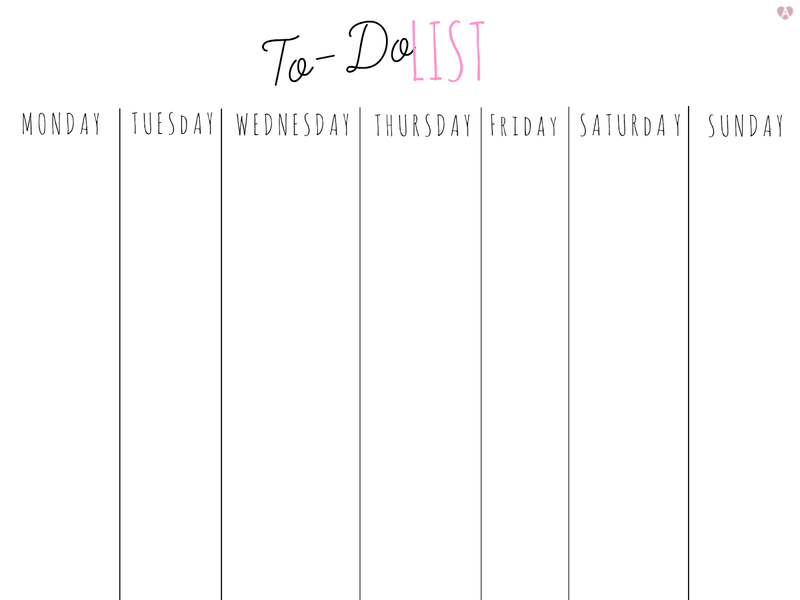 As you may remember, I wrote a post on to-do lists and how they help me to stay organized a few months ago and today I decided to share with you my customized weekly planner, which can be used for writing things down. I like to keep my planners and to-do lists on the desk, right where I can see them. This way I have all my tasks right in front of me and there's less chances I'll forget about them. Also, I like to carry around a notebook everywhere I go in case I have any brainstorming ideas. How do you stay organized? Do you keep a planner or have some to-do lists around? I am do bad at staying organized! I find planners really helpful! I've started using a planner all year around about a year ago and I now feel a lot more organized! Exactly what I needed! Thanks for sharing! Nice design! Planners are the only way I keep track of everything going on in my life LOL totally necessity! Loving this weekly planner! Too cute and a fun way to plan out the week! The same here! Planners literally save my life! Me too, and I love the satisfaction of crossing out accomplished tasks.